Overland Park, KS, has been ranked among the “Best Places to Raise Your Kids” by Bloomberg Business and “America’s 10 Best Places to Grow Up” by U.S. News & World Report. The sprawling Kansas City suburb boasts excellent schools, low crime rates and access to many outdoor activities. 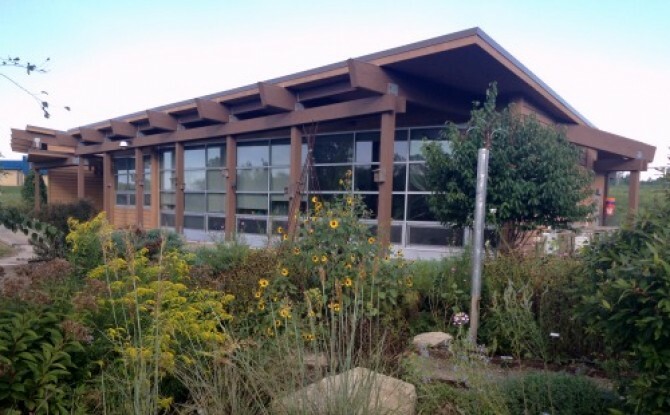 But for parents in Blue Valley School District, one of three school districts in the city, the best thing about living there is the healthy indoor environment where their children spend most days. This Green Cleaning Award First Place winner in the K-12 school district category is motivated to provide a healthy environment where children can learn — free of health risk factors and pollutants. “We have kids with asthma, and we want to make sure we’re not adding anything that they are going to react to,” said Paul Sharp, coordinator of custodial services for Blue Valley. When its green cleaning program was first implemented in 2005, the school eliminated asthma triggers and took an aggressive approach to dust control. Next, the department made a complete switch to Green Seal certified cleaning products, focusing on products that don’t leave a residue or contribute to dust buildup. Staff was included in this change from the get-go. “We use staff feedback to make all our decisions,” said Sharp. “We made sure to ask staff members about the effectiveness of all new products and considered their feedback as we made our final decisions.” When products were switched, staff was on board because they had been included in the change from the start. Plus, they knew that the new products worked because they had already tried them. Blue Valley’s custodial department truly values feedback. They send out an annual customer survey to all teachers and principals to gauge how they are cleaning and identify areas for improvement. This dialogue with the greater school community carries over into many of the district’s sustainability programs. One elementary school has started a food recycling program and the custodial department is actively involved. In all schools, students work side-by-side with the custodial department on recycling initiatives. You will see high school, middle school and even some elementary school aged children collecting the paper bins for recycling. “It’s a team effort, and we’re all involved,” said Sharp. Is your school interested in being recognized for excellence in green cleaning? Be the first to find out when the 2015 award application is released!